Camaleón Sports is professional tour organizator for cycle vacations in Andalusia, and offers cycle trips around the small villages in the province of Cádiz and guided daily tours with the bike. 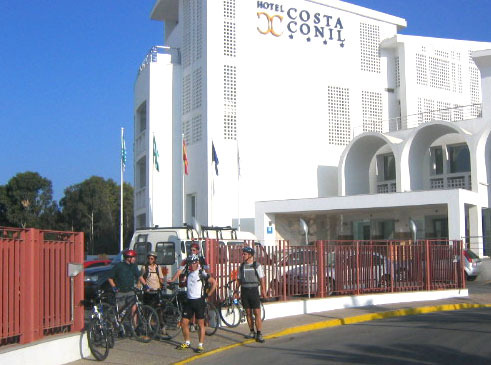 In our local Camaleón BikeSportCenter in Conil, we offer you a daily program of guided cycle tours, also bike renting with a great variety of bikes. All tours are guided of experienced, local guides, who will show you all the aspects of the andalusian life and culture. We cycle in small groups and bring you to the most to the most beautiful and virgen places of the region, so that you can join nature, relax and make new experiences. 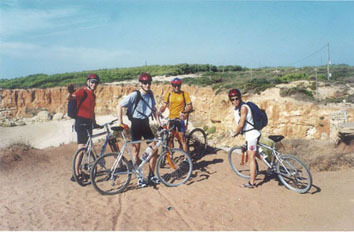 We offer cycle - and sport vacations for individuals and all kind of groups. We have special arrangements for incentiv agencys and tour operators. 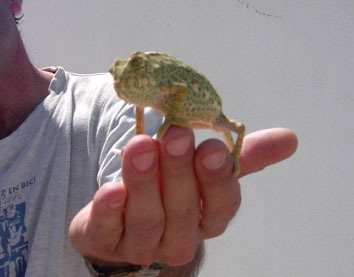 Our name, Camaleón Sports, comes from the camaleon, the protected reptil, which we could sometimes observe. In Spain it exclusively lives in some regions of the Costa de la Luz. Discover the fascinating variety of the Andalusian countryside, in a perfect mixture of sport and culture holidays.